Day 147—27 March 2012 Playing with my food I’ve never allowed much junk food in our home; but I really enjoy buying “bunny candy” and Halloween candy for the boys. So, twice a year, I present a limited supply of ridiculous treats. Bunny candy was distributed the day before NOS returned to school after spring break. 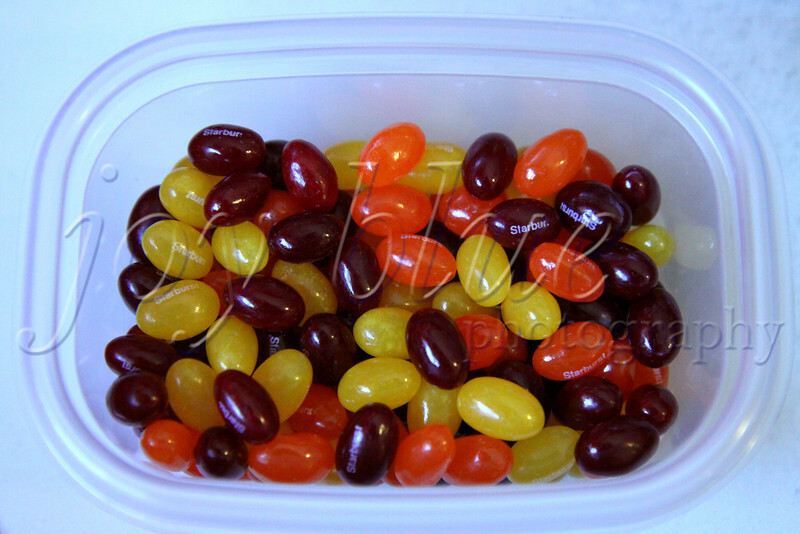 A week before, NTS went party food shopping with Tom (moderate mistake), and bought three bags of jelly beans (not knowing I had purchased two bags for each boy already). One was consumed at/after the party. I claimed one of the excess bags, figuring I could justify picking out just the flavors like. Here is the result: My lemon/orange/cherry weighed 7.5 ounces; strawberry (set aside for NTS), 2.25 ounces; green/purple, 4 ounces. Works for me!